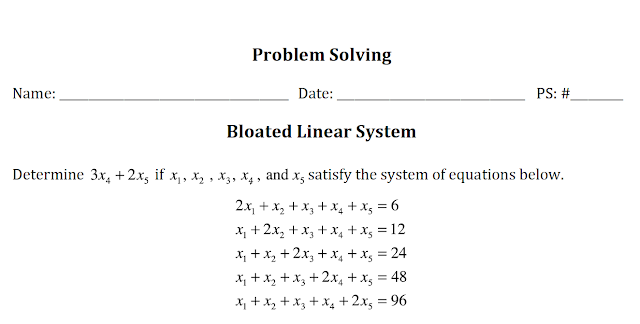 Take a look at what my Algebra II (5) students were solving today in class after watching my video on Linear Systems. We began class by reviewing a fundamental linear systems problem that reviewed the core elements of the lesson. We reviewed the questions that students wrote on the Google Form Video Summarizer, and we did this crazy looking five equations and five variables problem! This was all done with me leading the class and we were reviewing the new material together. Parents, any ideas on how to start? !